A character I sculpted in mudbox. 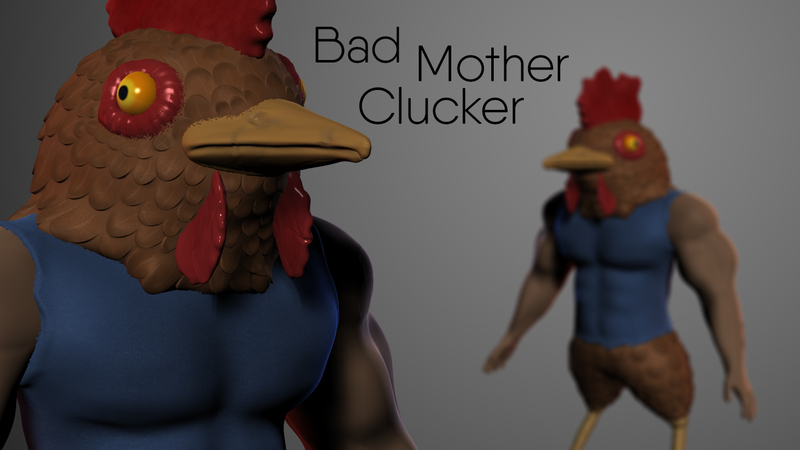 Bad Mother Clucker is a half human half chicken hybrid. As you can see, he's quite the gangster.